Quality. Performance. Reliability. 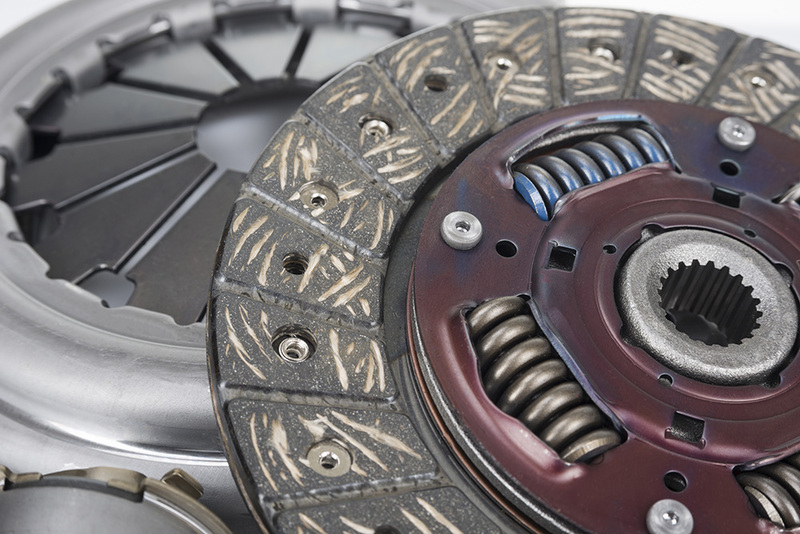 These are the hallmarks of an EXEDY clutch. And these are the values that we're proud to apply to every clutch in our range. 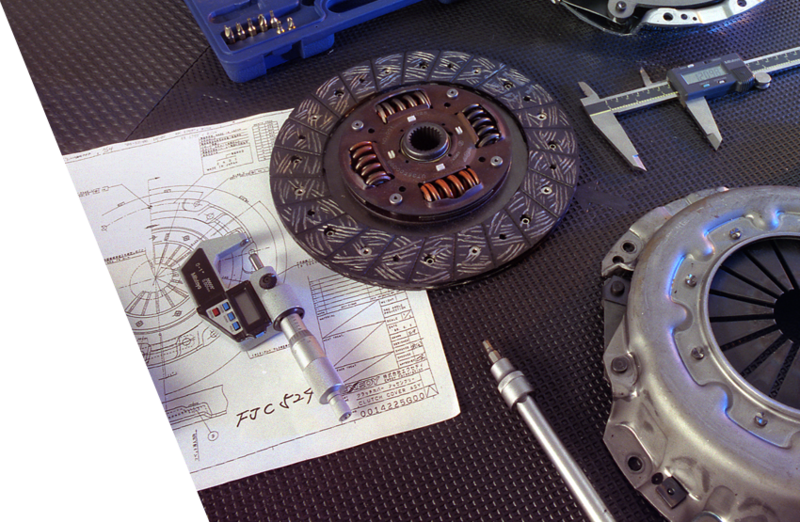 To be able to boast such hallmarks, EXEDY continue to innovate in the transmission market with a number of key technologies suited for all types of vehicle application. To ensure market leading quality, EXEDY utilises its three core technologies, Friction, Vibration and Fluid Dynamics. The combination of these technologies has ensured EXEDY is renowned globally for manufacturing excellent products. 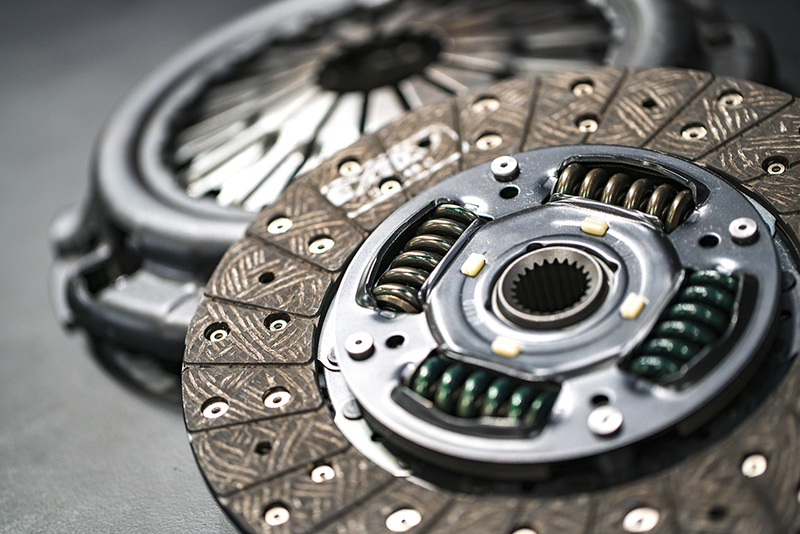 Ordinary clutch covers are designed to push for disengagement, EXEDY's patented pull type cover does the opposite. 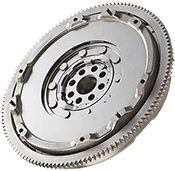 The Pull type clutch cover accommodates higher torque, in conjunction with lighter pedal efforts to produce a superior clutch operation. It is particularly effective for high powered vehicle applications. The peak cut cover was designed to minimize pedal effort increase over time and provide longer life by design. 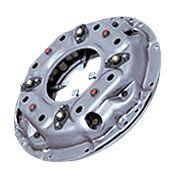 The peak cut cover is mainly used by taxi and commercial vehicles, where high mileage is achieved over a very short time period. LPEC stands for Light Pedal Effort Cover, and is used to relieve pedal effort in vehicles where higher engine torque requires an increased pedal effort. 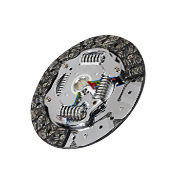 The LPEC cover was designed to reduce the pedal effort when engaging the clutch throughout the clutch's life. 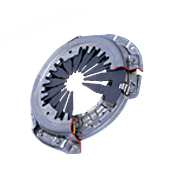 The LPEC design reduces the release load compared to conventional clutch covers by increasing the lever ratio. 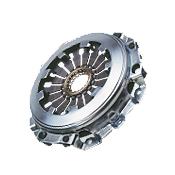 The Lever Type Clutch Cover is designed with push lever arms for clutch disengagement. This design is mainly used by large vehicles such as trucks and buses. EXEDY's silent type disc has been cleverly designed utilising technology to reduce gear noise caused at acceleration, deceleration and idling. On acceleration it is possible to reduce gear rattle for front wheel drive vehicles by controlling it with low torsional rigidity and high hysteresis torque. At deceleration it is possible to move the resonance frequency point to lower engine rotational speed which makes smaller rotational fluctuation. On idle it is possible to improve the gear rattle by using low torsional rigidity and low hysteresis torque. 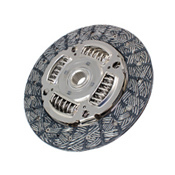 WAD (Wide Angled Damper) discs are designed to correspond with high engine fluctuation in diesel and direct injection applications, the WAD uses high performance damper technology to absorb noise and vibration. 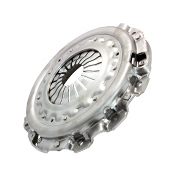 The Dual Mass Flywheel was designed by EXEDY for applications with high torque engines, used commonly when engine size has been reduced. The dual mass flywheel secures damping functionality at low speeds in order to reduce CO2 emissions and increase gas mileage. To decrease the harshness of operation and sound of transmission gear rattle. To secure strength at low resonance speed. To decrease the sound of the damper operation. Improvement of engine start at low temperature.